to discuss the proposed plan for running a cultural caravan from Urmchi in China to Gawadar comprising artists, musicians, dancers, photographers, anthropologists, writers and film makers from both the countries, the Minister of State for Information, Broadcasting and National Heritage Marriyum Aurangzeb said that it would further help to cement people to people contacts between Pakistan and China as cultural exchanges were one of the essential components of maintaining cordial relations between the two states. detail about the whole concept of Cultural Caravan proposed to travel through the CPEC route and the documentation of art and culture that would be done along the way and also dilated on the importance of the creative journey to promote dialogue, understanding, trust and respect between the two nations. the initiative and reiterated her Governments commitment to promote art and culture of Pakistan with the view to spotlight its softer image across the globe. caravans consisting of prominent artists may be made regular feature of the cultural ties between the two time- tested friends. and exchange ideas but would also keep the heritage of nations alive. She added that it would also promote the historical Silk Road and give boost to the creative industry of all nodal cities on the caravan route. as well as showcasing economic achievements, Marriyum Aurangzeb said. implementation plan with timelines and fixation of responsibilities and asked other relevant departments of Ministry to fully collaborate and actively participate in this project of Cultural Caravan once it is formalized. 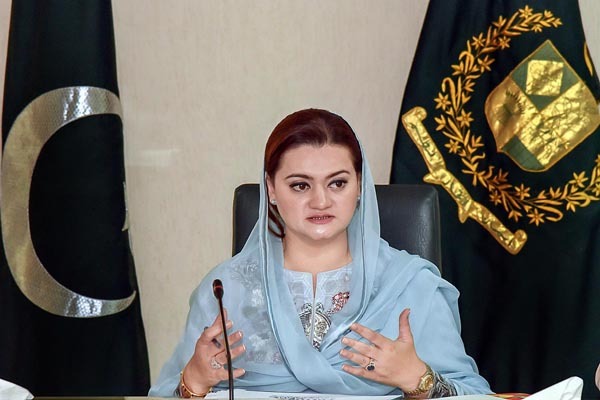 Ms. Marriyum Aurangzeb also emphasized the need to engage all stake holders including relevant federal ministries, divisions as well as provincial Governments for effective coordination and to gain maximum support to make this initiative of cultural caravan a resounding success. neutralize an extremist mindset and thwart the nefarious designs of the forces of retrogression and suppression. Marriyum observed that it would also generate a festive mood in the whole country at a time when preparations were on the anvil to commemorate the 70th birthday anniversary of Pakistan. General, Pakistan Broadcasting Corporation Sheraz Latif,Director General, External Publicity Wing Shafqat Jalil, Managing Director, APP, Masood Malik , Director General, Pakistan National Council of Arts, Jamal Shah, Executive Director Lok Virsa Fauzia Saeed and other senior officials of Ministry of IBNH.